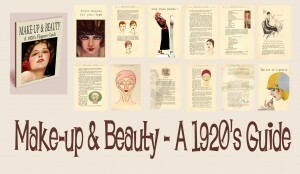 1920s Make-up Application Techniques – Original guide for download. A rare vintage 1920s beauty guide with instructions on the makeup application techniques of the flapper era. It’s a beautifully illustrated and restored e-book from an original beauty guide for women from 1925 by wealth socialite Marjorie Oelrichs.Packed with feminine advice for young ladies in an era of liberation for women. A pleasure to browse for any vintage beauty fanatic, and an important record of feminine ideals of the 1920s era. 1.What is your beauty type? 3.Find the correct make-up for your color type. 5.Caring for and dressing your 1920s hairstyle. 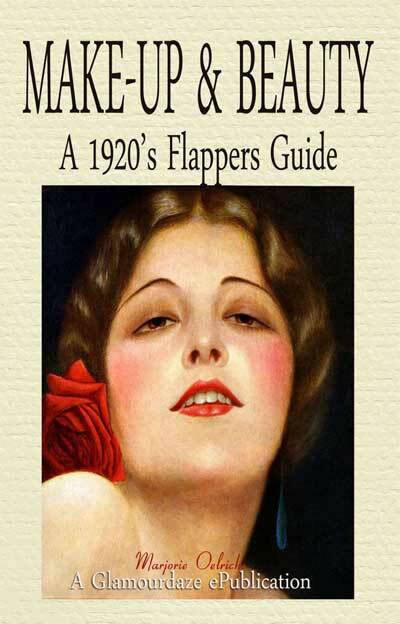 Any self respecting Modern day retro flapper will this girlish book ! If you are interested in other vintage makeup eras – then you’re in luck ! You can also get the massive Vintage Make-up Guide Bundle, which includes all the 1920s 1930s,1940s and 1950s guides. A real bargain!